Are you a Christian? What exactly is a Christian? Discipleship, a “need to know” hot topic on St. Leo’s Lunch podcast, with speaker Deacon Jeff. 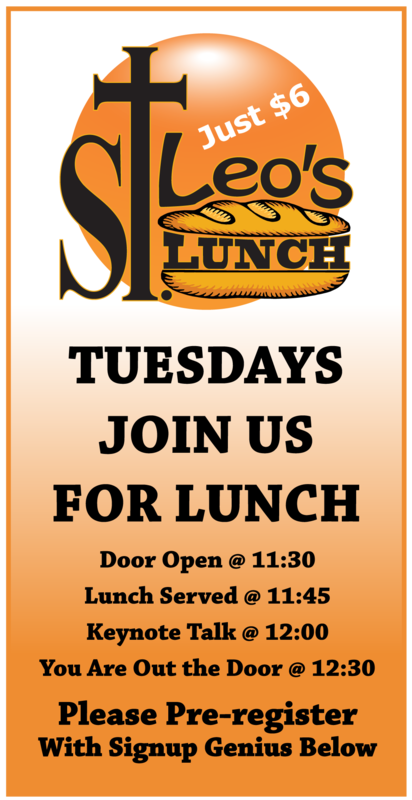 Share this on your favorite social media hangout, like Facebook, LinkedIn, or Twitter, and let your friends and family have taste of St. Leo;s Lunch today!